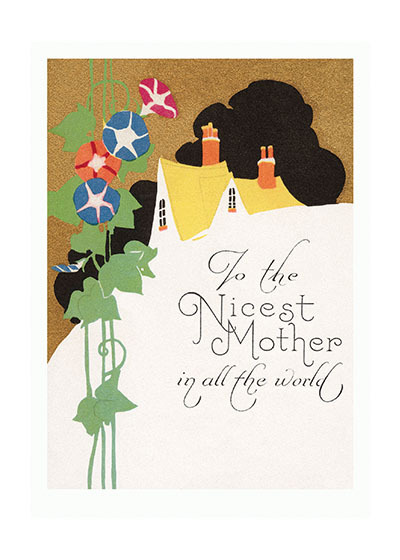 This is an art deco card. This is an art deco card. These are charactized by extreme stylization and acutely pointed roofs.